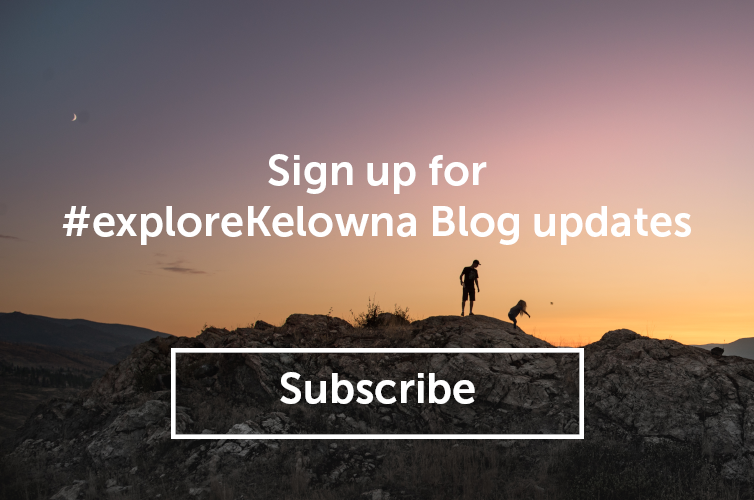 Considering the city’s population has grown by nearly 20% in the last 10 years, it’s no wonder the lakeside city of Kelowna has changed as much as it has. A blossoming tech sector, revitalized downtown, changing infrastructure, an acclaimed university, a surge in housing development—these are all features of a city that is rapidly expanding in ways its residents never imagined. With more large developments and projects in the works, this Okanagan hub is just getting started. But before getting too far ahead of ourselves, let’s look back at 10 ways that Kelowna has transformed itself in the last 10 years. Ten years ago, you wouldn’t have been able to visit many of your favourite Kelowna restaurants. New places like BNA, Smack DAB, Salted Brick, Curious Café, Micro Bar Bites and Flask Social House to name a few, offer residents a chance to experience some of the best grub this side of the Rockies. In fact, the brand new Cactus Club (downstairs at the new monumental Kelowna Yacht Club) is one of the busiest locations in Canada. Want to try something new? Just wander for a few minutes and you’re sure to stumble upon the perfect patio. In addition to being the fastest-growing metro area in BC and the fifth-fastest-growing in the country, Kelowna is leading the future of technology in Canada. Companies like QHR Technologies and Disney Canada all call this city their home. You can be sure that we’ll be seeing more tech entrepreneurs and companies grace our shores soon, due in part to Accelerate Okanagan, a tech incubator that offers support services for high tech startups. 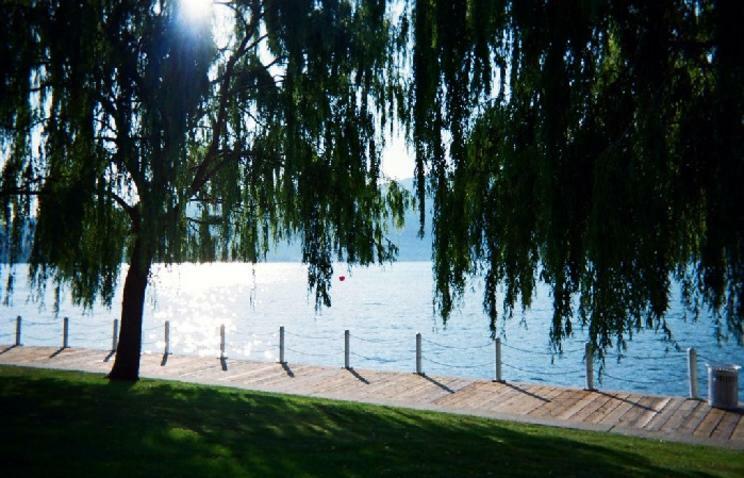 When you live in a place like Kelowna, you want to be able to enjoy the amazing environment that brought you here. The best way to do so? Meander along the 2.2km waterfront boardwalk, which ambles around the bridge and takes you through parks, past beaches, public art pieces and even a bird sanctuary. If you need more reasons to go outside, you can visit the outdoor amphitheatre and performance stage at Waterfront Park or see the newly revealed Stuart Park, which features an Instagram worthy mixed material sculpture of a Grizzly Bear as well as a lakeside promenade, civic plaza (and lakeside skating rink in winter) and seating for relaxing and taking in the views. Once you’re done enjoying the natural wonders of the city, it’s just a hop, skip and a jump to the new, pedestrian friendly main street, also known as Bernard Avenue downtown. Its expanded sidewalks with benches and standing café table tops create the perfect gathering spots for window shopping and visiting with friends. With such open spaces, you’ll feel as though a slice of European culture has been transported to BC’s interior. The Okanagan Valley is famous for its many wineries that dot the countryside, but that’s not all Kelowna has been brewing up. 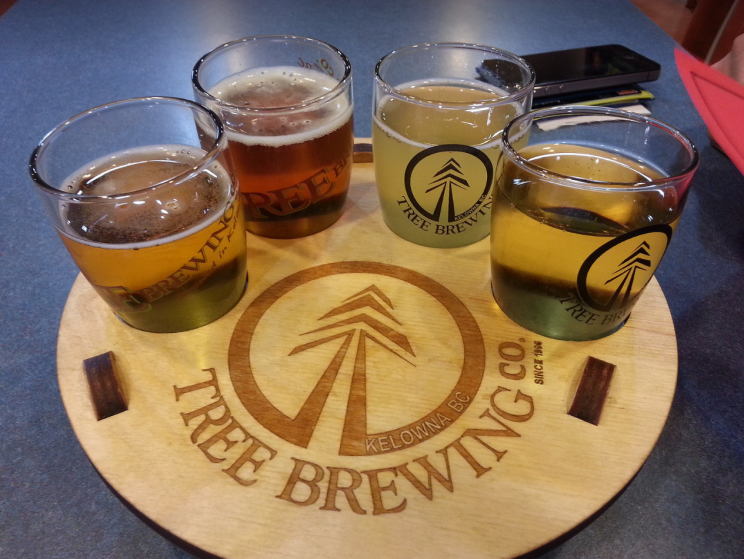 Over the last 10 years, the Kelowna beer scene has added several breweries to its must-see itinerary. If you’re looking for the perfect day by the bay this summer, jump on your bike (or rent one from one of the many new bike shops downtown) and hop from BNA Brewing to Tree Brewing, to the Curious Café. Or, just wait until May for the Great Okanagan Beer Festival and taste it all in one place. Not only is Kelowna attracting great tech minds, but the best and brightest students in Canada and beyond. UBCO, which opened in 2005, is now home to over 8,500 students and has an annual payroll of $86 million. In addition to a youthful and energetic population, the university injects an estimated $1.5 billion into the local economy ($2 billion when you throw in Okanagan College). If you’re one to keep an eye on the summer’s major music festivals, you’ve probably already heard of Centre of Gravity. Now in its 9th year, this adrenaline-pumping three-day event will welcome some of the world’s hottest DJs to Kelowna’s shores this summer. But the city’s music scene isn’t only about electronic and new age sounds. 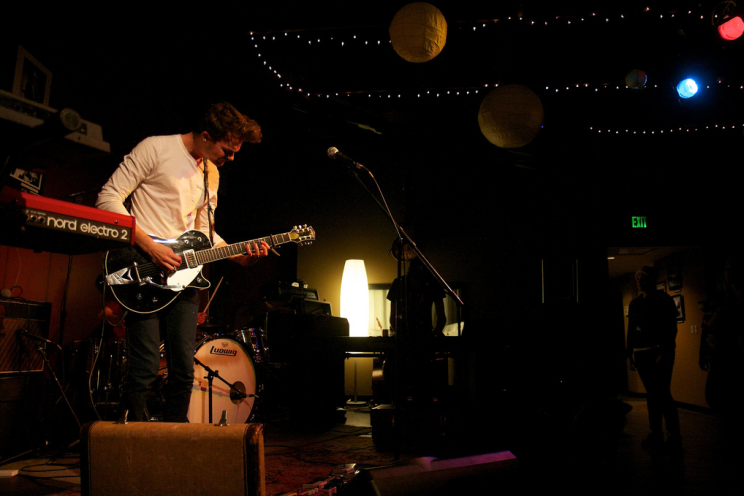 It also has a growing indie music scene with venues like Habitat, Streaming Café, Doc Willoughby’s, Fernando’s, and several others. This summer, buy your ticket to Rock the Lake, a new classic rock music festival celebrating its inaugural year, or just hang out at any of the Parks Alive! free outdoor concert series events – there are more than 50 of them in the months of July & August. One of the most exciting things about Kelowna is that it’s becoming more vibrant every year. Sure, you can spend your day relaxing at the beach. But you can also head downtown to hang on a patio, experience free, family friendly concerts or see entertainers and buskers in the parks, beaches and along the boardwalk. With its trendy shops, hip cafés and beautiful landscapes, the city is perfect for those who want to experience the bustling culture of a metropolitan hub—without having to actually live in one. 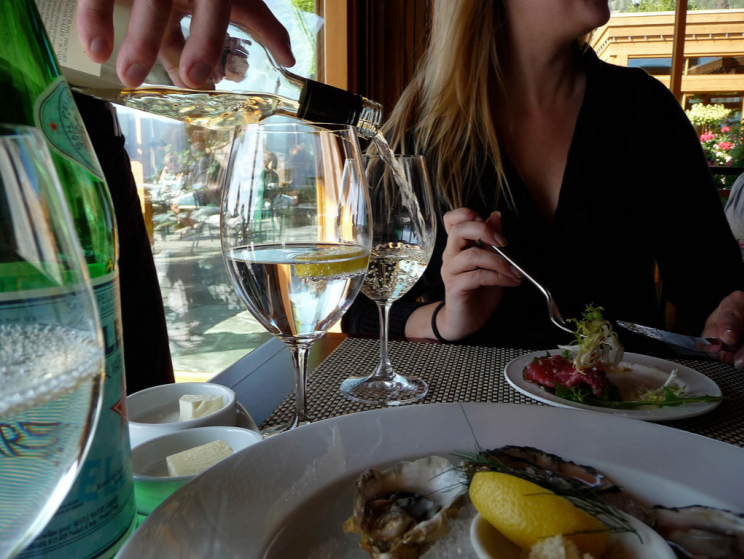 A wine getaway for the girls or a golf getaway for the boys—yeah, we know the drill. 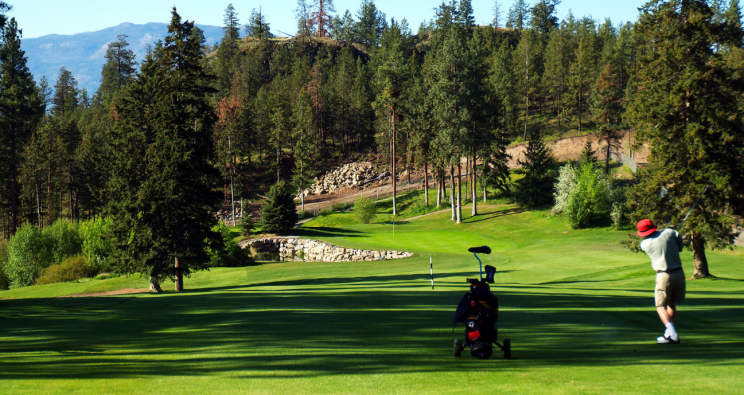 But vacationing in the Okanagan has expanded way beyond the traditional activities you once expected. Go hiking, biking, skiing and play water sports anywhere from 5 minutes to one hour away from the main city. Whether you’re looking for 5-star lakeside resorts or cozy B&Bs, the lakeside city of Kelowna has any premium experience you might crave. We’ve already mentioned the interior’s lush landscape and diverse winery scene several times, but this point bears repeating: in the interior, new wineries are opening every year, meaning there’s always a new taste to try and vineyard to explore. Even if you’ve already visited one of the region’s most famous wineries, a few new ones that you might not have heard of include: 50th Parallel, Sandhill, The Hatch, Grizzli, Blind Tiger, Ciao Bella, Off the Grid, and many, many others. Article amended to remove closed businesses.